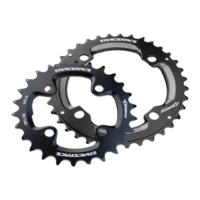 E*thirteen Guidering M chainrings boast a revoluntionary dual width tooth design to help keep your chain locked on your ring and not dropped on the trail. 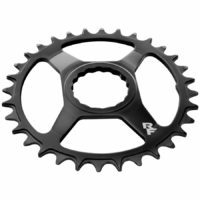 Months of testing and numerous iterations have yielded a long-wearing shape and finish ensuring your chain stays put even after months of use. 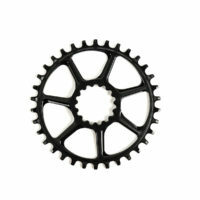 Compatible with SRAM cranksets with a removable Spider. 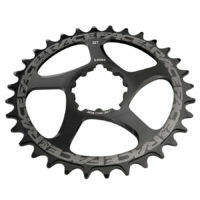 Narrow Wide tooth profiling ensures ultimate chain retention. 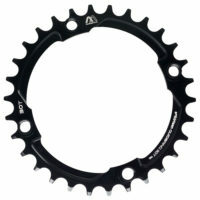 7075-T6 aluminum, aerospace grade strength. Stiff 4mm plate thickness to transfer loads without flexing. 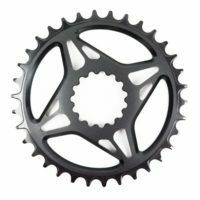 Compatible for 9, 10, 11 and 12 speed. 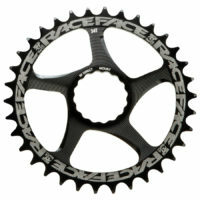 Race Face new Cinch Direct Mount Oval rings help you put down the watts in the best part of our pedal stroke. Ovals provide enhanced traction control when compared to conventional round rings, particularly in high torque, low cadence riding scenarios. We arrived at an optimal 10% ovality and 112.5° clocking, which can be achieved in both regular and flipped Super Boost positions by following the orientation callout on the rings. 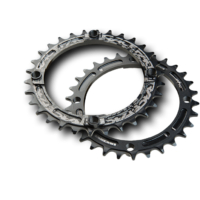 Our variable width tooth design will keep chain retention dialed utilizing clutched derailleurs, and is also compatible with many chainguides. 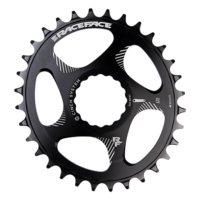 Available in 4 of our most popular sizes, the Race Face Oval Ring gives you the advantage during the toughest part of your ride.